Dearneside Fabrication have recently secured the Architectural Metalwork on the second phase of Chobham Manor with Taylor Wimpey. The development has been planned by the foremost Architects working in London. Haworth Tompkins, PRP, Karakusevic Carson and Make have designed a collection of contemporary apartments and family homes at the heart of Queen Elizabeth Olympic Park in Stratford, London. This will be the company’s second significant package with Taylor Wimpey. And closely follows our earlier works on Phase 1. Scope of work includes all the Architectural Metalwork for the Apartments and Townhouses and all external Metalwork. 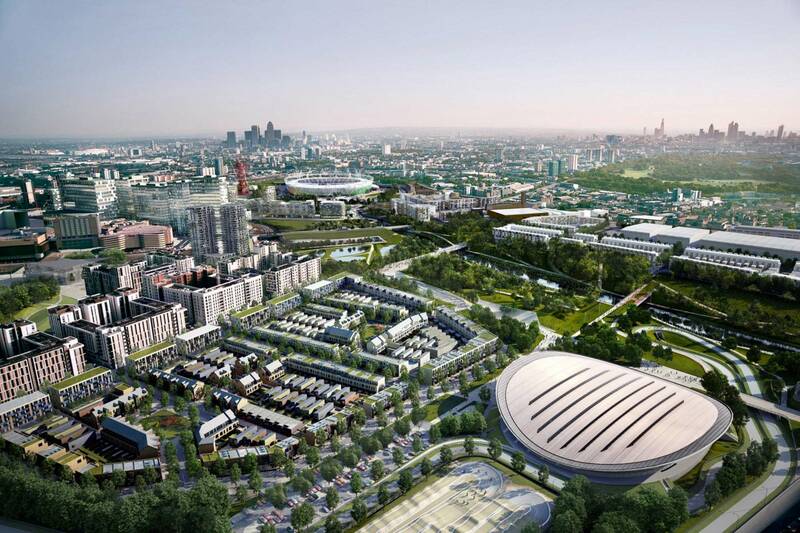 Nestled between the East Village and the Lee Valley VeloPark – where Victoria Pendleton, Sir Chris Hoy & Co brought home nine medals for Team GB at the 2012 Olympic Games – Chobham Manor will comprise around 850 homes, community facilities, shops and acre upon acre of public open space. A commuter’s dream, Chobham Manor is just moments away from incredible transport links, being just a short stroll from Stratford International, Docklands Light Railway, High Speed 1 rail services, plus the Central and Jubilee lines. 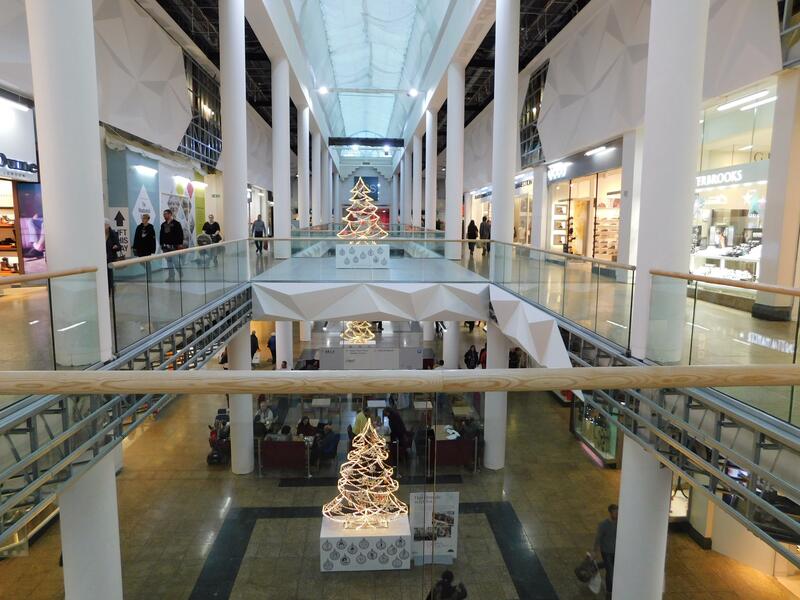 Laing O’Rourke have filmed a typical night at Meadowhall Shopping Centre in Sheffield. We think it gives a great insight into this project where Dearneside Fabrications are installing new glass balustrade throughout the centre during its £60 Million refurbishment. 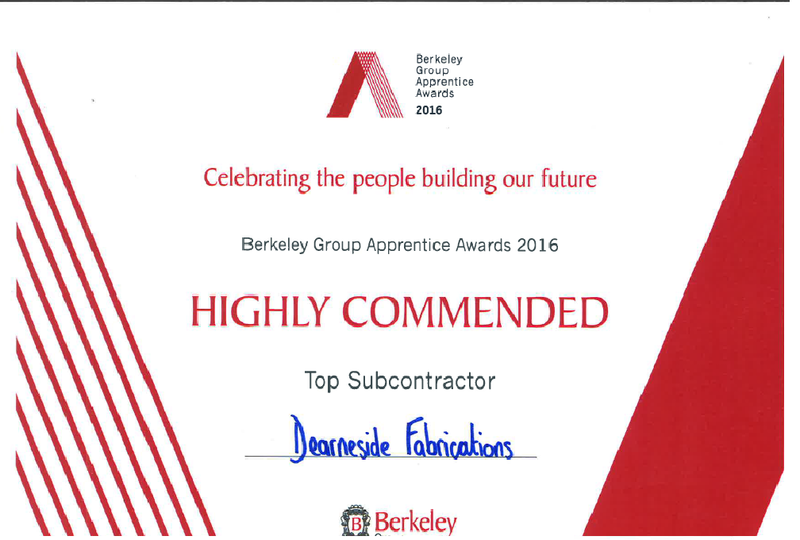 Dearneside Fabrications were “Highly Commended” in the “Top Subcontractor” Category. The Berkeley Group has committed to have at least 1,500 people across our workforce in apprenticeships or training by April 2018. These Apprentice Awards are the next step in our campaign to celebrate and develop talent in our business and make it easier for people to build their careers working for Berkeley. 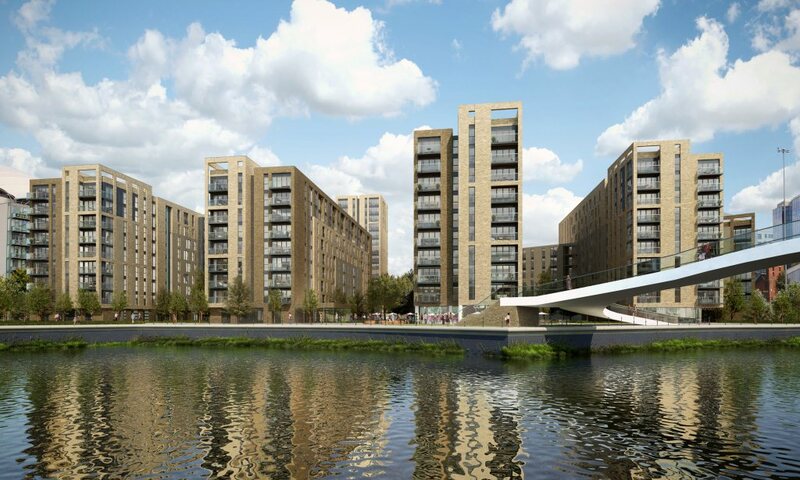 Dearneside is pleased to announce that they have secured the Balcony Package for the Clippers Quay Development in Manchester. This will be the first contract for Sir Robert McAlpine in the Manchester area. The 614 units planned represent one of the UK’s largest private rented schemes outside of London and will be delivered in five blocks, including 17,000 sq ft of amenities. This gateway site at Salford Quays remained inactive for many years after the closure of the Multiplex cinema which previously occupied the site. 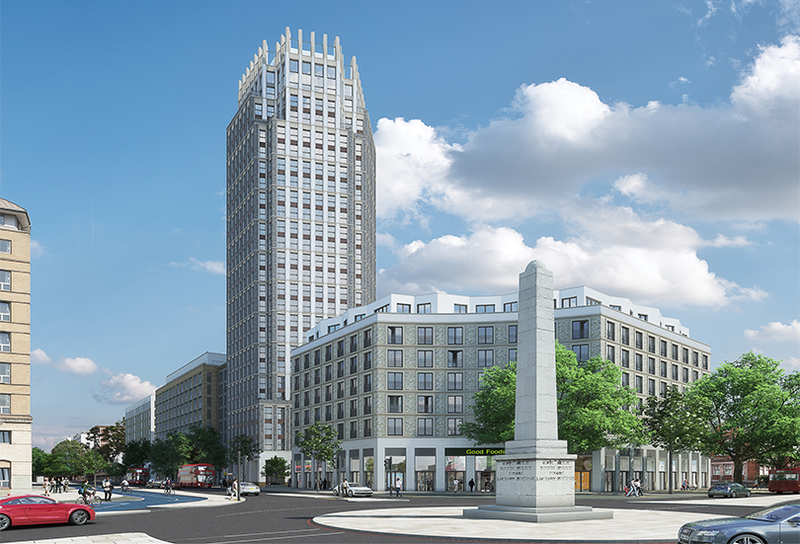 Dearneside Fabrication are pleased to announce they have secured the Architectural Metalwork package on “Blackfriars Circus” for Barratt London value £2 Million. This prestigious residential development located on Blackfriars Road , Southwark is Dearneside’s first project with Barratt London. Our scope of work includes Balcony / Terrace Balustrade, Handrail and Balustrade to all stairs, Access Steelwork, Secondary Steelwork, external Metalwork development wide. Divided over five buildings, the development is planned around a central, public courtyard with space for shops, cafés and restaurants. The scheme has been designed by two of London’s foremost architectural and design teams – Maccreanor Lavington and Witherford, Watson & Mann – both recent winners of the prestigious Royal Institute of British Architects Stirling Prize. Located in the historic area of Southwark, Blackfriars Circus is as remarkable as the location. Blackfriars is one of the latest areas in London’s Zone 1 to undergo a regeneration. Situated on the Southbank - a short walk over the river from both the City and West End - Blackfriars Circus is well-positioned. The development is made up of 336 one, two, and three-bedroom apartments and four-bedroom duplex penthouses, and includes around 35,000 sq. ft. of office space and 16,500 sq. ft. of retail space.